How to stay warm AND look good. When I started my new job, I knew that it was my chance to make the leap and try something I’ve always wanted to try. Regardless of how difficult it was, I had made up my mind. I had a goal, and I was going to accomplish it. I was only going to wear skirts or dresses, not dress pants. Yes, I aim high. For the most part, this has been easy. But the weather’s gotten colder recently, so I thought I’d share my tips on how to dress nicely even when the temperature hits -30. 1. Buy several pairs of good quality tights. The first part of this is key. I bought flannel tights from Simon’s, but I only bought one pair. Consequently, they now need to be replaced. I know I just need to bite the bullet and buy a bunch; at $30 each, it’s cheaper than buying dress pants, and since they’re flannel, it’s also warmer than buying dress pants. I love Calgary. It’s an amazing city. However, we aren’t great at clearing the streets. 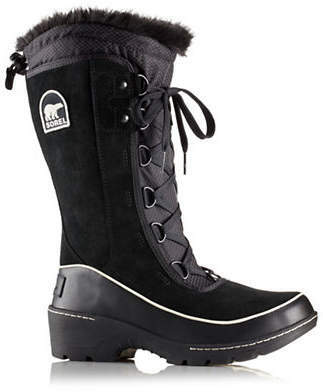 Whether it’s 30 cm of snow or pure ice, you need expensive winter boots. The reason I specify expensive is that you may think you’re getting good winter boots, but if they’re not at least $150, you’re probably not. I buy Sorels. I had a beige pair for about three years. I replaced them when the grips wore down and they stopped being waterproof. I now have a black pair, which I think will wear better. The secret is to buy boots in the spring. If I could say something to shoe stores in Calgary, it would be this: I understand that in Paris, New York, and London spring has started. However, it hasn’t here. You see that snow? That’s because it’s still winter. If you want to sell shoes, keep selling boots until we don’t need them and start selling sandals in the summer. This isn’t my coat, but isn’t it cute? 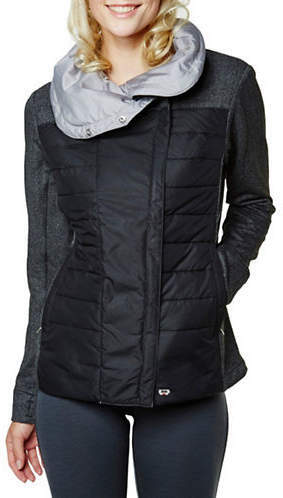 I mentioned in a previous post that Suzy Shier is a little hit-or-miss in terms of good quality clothing, but what they keep getting right is coats. I got a coat from my sister that is…I don’t even know how old, but it’s still in great job. As long as I wear it with a sweater, it works for even freezing temperatures. 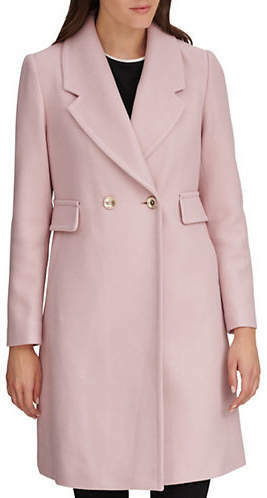 This coat is the perfect coat to wear with my work clothes. 4. …And buy a winter coat for the rest of the time. In 2015, I bought a Helly Hansen coat. This coat is still in perfect shape, and it’s great for not only skiing, but going outside on the weekends. I think what people forget sometimes is that there’s a difference between Fall coats and Winter coats. Fall coats are great for walking around outside. Winter coats, especially in Calgary, need to get to from point A, which is inside, to point B, which is also inside. This doesn’t meant the coat can’t look nice. My coat is black and goes with pretty much anything, but it does NOT go with skirts and dresses, which is why I have the coat from point 3. 5. Buy black or white gloves, scarf, and hat. You’re going to have to wear some or all of the above, so you should buy ones that go with what you’re wearing, and black and white goes with everything. Question of the day: Is it cold where you live? What do you do to stay warm but stylish at the same time?